Why do cats have vertical slits while goats have horizontal-shaped pupils? This is the question that a team of researchers from the University of California (Berkeley) and the University of Durham (Great Britain) set out to answer. They looked at the eyes of 214 different species and found that the eye shapes of animals can inform whether the members of a species are natural predators or prey. It’s worth mentioning that the study only included land animals. As you may have expected, animals who have pupils that are elongated and vertical – cats and reptiles for instance – are generally considered to be ambush predators, meaning that they are natural predators who hunt both in the daylight and at night. They are known for using stealth, rather than speed or strength, in order to catch their prey. Animals who have pupils that are elongated and horizontal – goats and sheep for instance – are generally considered to be plant eaters and prey, whereas animals who have pupils that are circular – humans, dogs and birds – are generally linked to good, all-around vision and the ability to chase down one’s prey. But the shape of an animal’s eyes helps it survive. 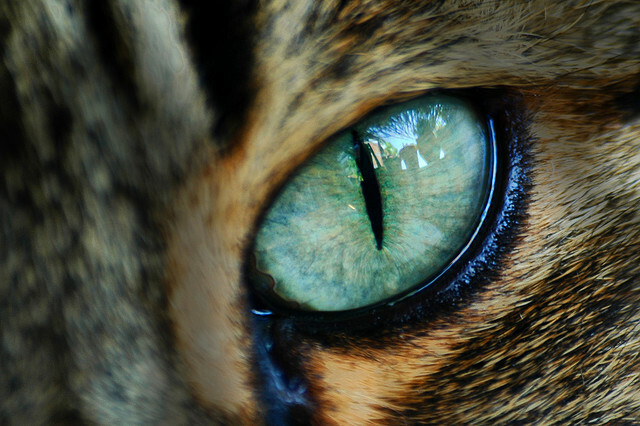 Even in the case of prey, Martin Banks (a professor of optometry from Berkeley) and Gordon Love (Durham’s director of the Centre for Advanced Instrumentation) informed that the eyes have two (2) main functions: to help animals spot predators and then flee them. Professor Banks gave a statement saying that “To detect approaching predators […] they need to see panoramically on the ground with minimal blind spots”. And once they’ve finally detected said predator, they have to be able to see “where they are running”. Their vision needs to be good enough that they can see “out of the corner of their eye”. This allows them to move quickly and jump over obstacles. As for the ambush predators, their vertical slits give them the dynamic range needed to see in dimly lit spaces and nighttime, “yet not get blinded by the midday sun”. Predators, on the other hand, benefit from binocular vision that allows them to figure out just how far away the prey is. But vertical slits are associated only with small predators that are “close to the ground” – domestic cats and lizards. Larger predators such as tigers and lions benefit from round pupils like the ones humans and dogs have. The study was published in the latest edition of the journal Science Advances.